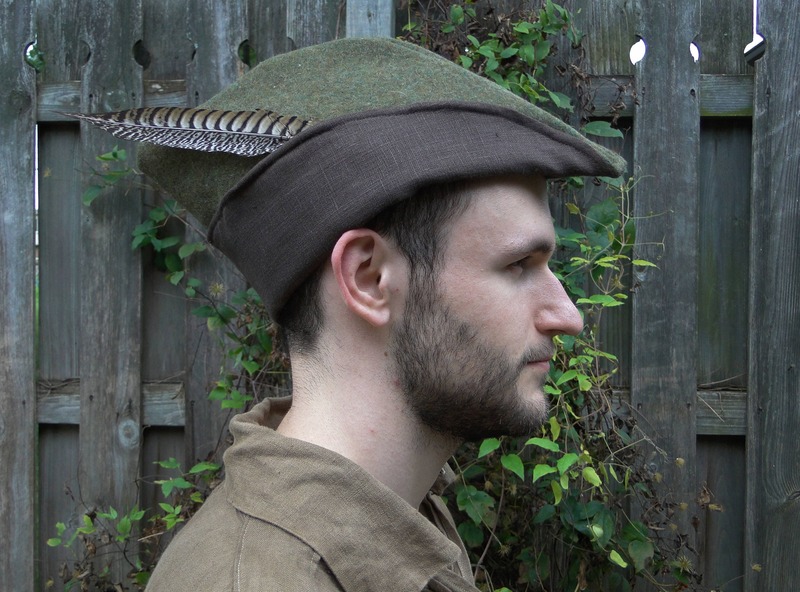 Medieval style Robin hood hat, perfect for costumes, reenactment & Renaissance Fairs! Comfortable soft fabric, adult one-size-fits-all, great for men or women. 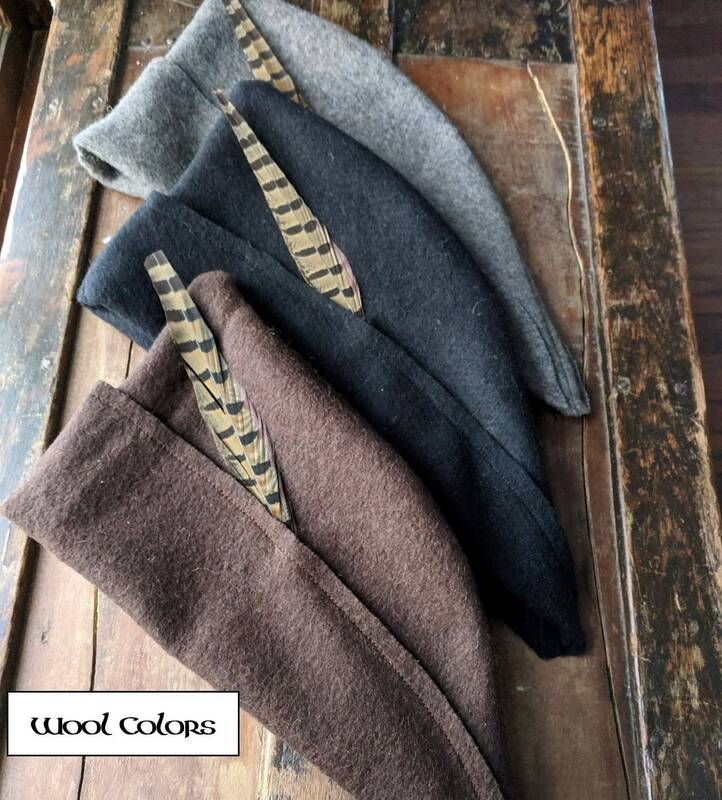 Hats are made with quality 100% wool, lined with 100% linen. 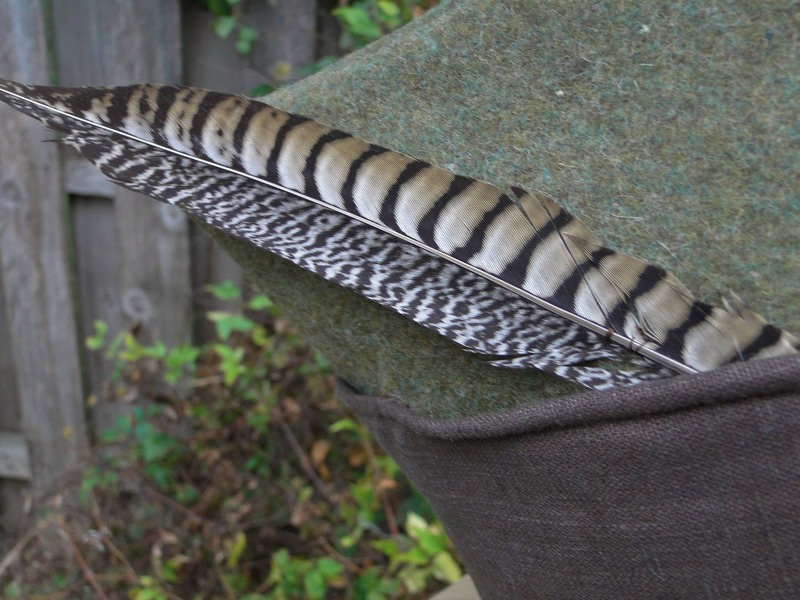 All hats are adorned with real natural colored bird feathers (will vary slightly, pictures show example). 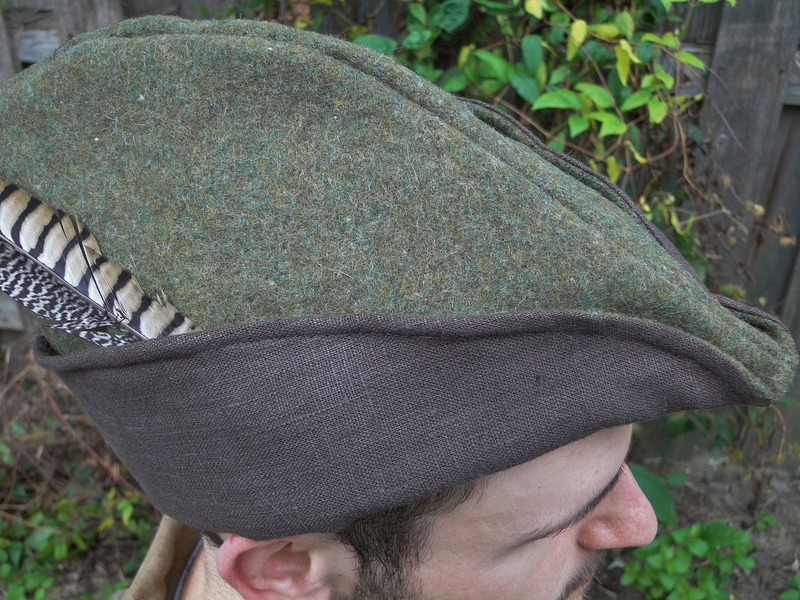 Inspired by the historical 'Bycocket' hat, great for woodsman, archers & other common Medieval folk! Great hat for a robin hood costume! It's very comfort and super light. It also stays on very well so you don't have to worry about it constantly falling off your head. It's well made from nice quality fabric. Overall, I highly recommend it for any robin hood or renaissance fair costume.